A probe had allegedly found that during his tenure as the Union Steel Minister from 2009 to 2011, Virbhadra Singh had accumulated assets worth Rs 6.03 crore in his and his family's name. 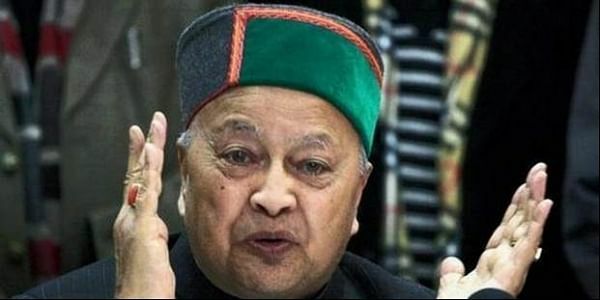 NEW DELHI: A Delhi court on Tuesday reserved its order on the bail plea of Life Insurance Corporation (LIC) agent Anand Chauhan in a disproportionate assets case involving Himachal Pradesh Chief Minister Virbhadra Singh. Special Judge Santosh Snehi Mann said that she will deliver the order on the bail plea of Chauhan on December 23. The Enforcement Directorate (ED) had filed a chargesheet against Chauhan and accused him of investing Virbhadra Singh's "tainted" money amounting to Rs 5.14 crore in LIC policies purchased in Virbhadra's name and those of his family members, including wife Pratibha Singh. Chauhan was arrested from Chandigarh on July 9, 2016, under the provisions of the Prevention of Money Laundering Act (PMLA) after the ED alleged he was not cooperating in the probe. On November 24, Chauhan was released on interim bail to attend his niece's marriage in Shimla from November 25 to December 5. A probe had allegedly found that during his tenure as the Union Steel Minister from 2009 to 2011, Virbhadra Singh had accumulated assets worth Rs 6.03 crore in his name and in the name of his family members, which were disproportionate to his known sources of income.